Remy Bumppo Theatre Company will perform its 2018-2019 Season at Theater Wit in the Belmont corridor. Remy Bumppo, which previously has been a resident company at the Greenhouse Theater Center in Lincoln Park, will kick off its 22nd season this fall as the newest resident company within the theater complex at Theater Wit. Producing Artistic Director Nick Sandys speaks to this exciting move: "Remy Bumppo is delighted to be partnering with Theater Wit. This move will afford us the opportunity to strengthen not only the quality of our productions but also our patrons' experience in the theatre." Remy Bumppo had been on the lookout for the right-sized theater in which to perform their thoughtful and intimate plays. This spring, when the opportunity to move to Theater Wit presented itself, Remy Bumppo decided to dive in and take advantage of the outstanding spaces and amenities that the complex has to offer. Artistic Director of Theater Wit Jeremy Wechsler also spoke to this exciting collaboration: "I'm thrilled to welcome Remy Bumppo as a resident company. I've admired their work since I saw their first production, Night and Day, some 20 years ago. Remy Bumppo's mix of contemporary artists with vibrant and poetic classics is a beautiful fit into the building's programming." This change in venues also provides the opportunity for the company to build stronger relationships with Theater Wit and the other resident companies. "Theater Wit is now the artistic home to four of Chicago's best Equity neighborhood companies," Wechsler stated, "Seeing so much talent in these intimate spaces is all I ever hoped for when we opened our doors to resident companies ten years ago. This is going to be an exciting season for Chicago audiences, Theater Wit, Remy Bumppo, Shattered Globe and About Face and all the other visiting productions." Sandys added that the timing of the move to Theater Wit could not be more auspicious for Remy Bumppo, "Our next season promises to break new ground again for our company, with three exhilarating Chicago premieres, so what better time to grab this opportunity to give our artists and our patrons a new Remy Bumppo experience." 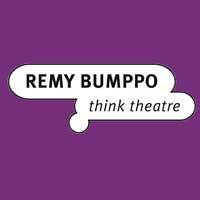 All productions in Remy Bumppo Theatre Company's 2018-2019 season will be performed at Theater Wit at 1229 W Belmont, Chicago IL 60657. Visit RemyBumppo.org for more information on subscription and single ticket sales.